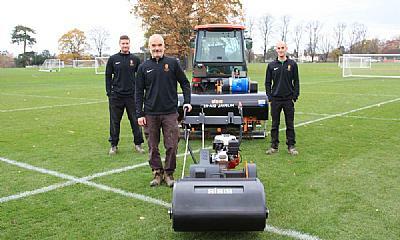 Andy Richards, Grounds Manager at Shrewsbury School, has claimed that he is amazed at the amount of material the SISIS Auto Rotorake MK5 removes from the School’s cricket wickets. Set over 120 acres with approximately 800 pupils, Shrewsbury School is one of the most prestigious independent schools in the land. Boasting academic excellence, the School also has some of the finest sporting facilities in the UK. In fact over three quarters of the School’s land is occupied by sports pitches. There is wide variety of sports on offer at Shrewsbury School and in summer all eyes turn to cricket. Cricket-writer Sir Neville Cardus once described the School’s cricket facilities as "the most beautiful playing fields in the world, spreading and imperceptibly mingling with the pasture land of Shropshire". However, these facilities don’t come easily. 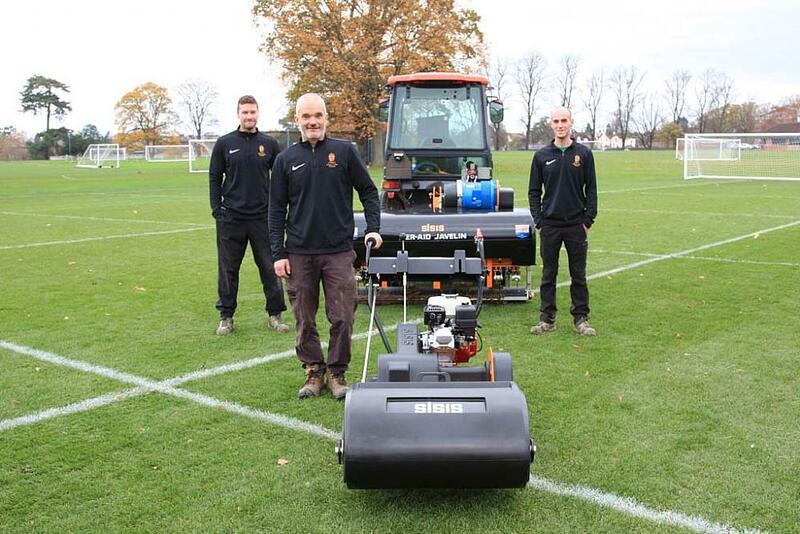 The SISIS Auto Rotorake MK5 is a powerful self-propelled heavy duty scarifier designed for the removal and control of thatch on fine turf. “We use it all the way through the cricket season,” continues Andy. “In Summer we do 30 match wickets a week and it will be part of the preparation for every one of those match wickets. From the middle of April through to the last cricket match in August we play host to approximately 250 matches and the Auto Rotorake is used on every one of those.